Hacking Hangout, Jan. 8 at 6:30 p.m.
Join Women Who Code Austin for its programming study group, held the second Monday of every month. Coders of all levels are encouraged to attend and will have the choice to work on whatever they want. Food and drinks will be provided. Taste of PIE-thon, Jan. 9 at 6:30 p.m.
Head over to Galvanize on Tuesday for Austin Data Science’s session on using Python in data science. The event will include networking and announcements, a live demo of Python in data science, a Q&A and a wrap-up of additional resources. This meetup is for beginners. Please bring a fully charged computer downloaded with Atom.io prior to the class. Rockin' ReactJS @Bloomfire, Jan. 10 at 6:30 p.m.
For those interested in learning ReactJS, join Women Who Code Austin for open hack night on Wednesday at Bloomfire. Meet other React devs and experts, collaborate on projects, run through tutorials and help build the local ReactJS community. How to Start a Successful Startup, Jan. 10 at 7 p.m. 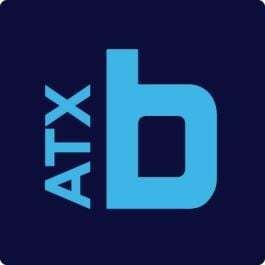 If you've considered launching a tech startup but aren't quite sure where to start, this event, hosted by the Austin Hispanic Hackers, is meant for you. The event will cover everything from building a team, financing a startup, marketing strategies, and intellectual property. Arrive with questions and expect an extensive, hands-on experience. VGMU! Presents Microtalks: AUDIENCE, Jan. 11 at 7 p.m.
Video Game Makers Unite! will meet this Thursday at Capital Factory for its monthly meetup. Thursday’s micro talks will focus on discussions around audiences and include guest speakers Alicia Andrew of Game Worlds Camp, Kamau Vassall of Moonlit Studios, Tyler Coleman of Retora Game Studios, Mojdeh Gharbi of Certain Affinity and Cy Wise of Owlchemy Labs. Bonus: Built In Brews at Procore, Jan. 18 at 5:30 p.m.
Join us for our first Built In Brews of 2018 on Thursday, Jan. 18, with the Procore team. This happy hour will give you the opportunity to meet with the hiring managers of Procore and mingle with some of Austin tech's finest. Get your tickets here.